The Amazon Way on IoT is for the leader who wants to understand how the internet of things is transforming business and society. 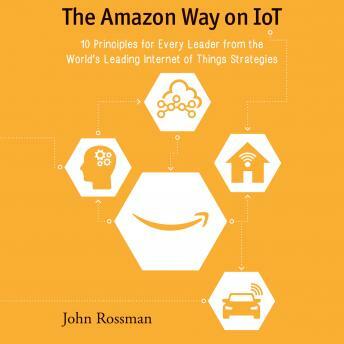 Readers will discover business cases, key concepts, technologies and tools to help develop, explain and execute their own IoT approach through understanding Amazon's and other leading companies sophisticated IoT technologies and strategies.Connected devices, wearables, cloud computing, sensors, machine learning and algorithms are all capabilities and technologies dramatically changing business, government and organizational landscapes. These are the core components enabling the internet of things, which Harvard professor Michael Porter writes is the backbone for a third wave of technology-led innovation and digital disruption. This book gives you the easy recipes to identify the opportunities in your business.